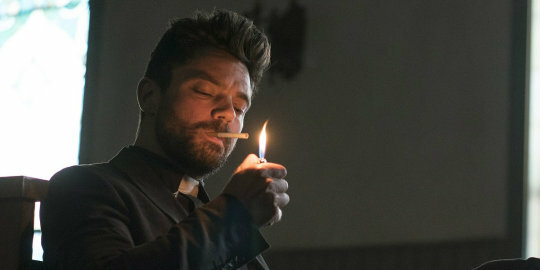 Preacher is absolutely one of my favorite comic series. Seeing a TV adaptation get made can be exciting and scary. After having watched the first episode, I’m feeling pretty good right now, and can’t wait to watch the rest of the season. The casting so far is fantastic, and the tone feels right. I haven’t read the comics since they originally came out, so I don’t exactly remember all of the twists and turns of the story, and how faithful the TV series is, but right now I’m just enjoying the ride.